The Sinks is a popular Smoky Mountains waterfall stop along Little River Road. Especially after a rainfall, it can be quite dramatic to stand in the observation area opposite the falls. The Sinks is also of geological interest. From the back of the parking area you can see an old dry riverbed which was once the route of the Little River perhaps millions of years ago. This ancient riverbed winds around a rock formation and joins up with the Meigs Creek Trail. 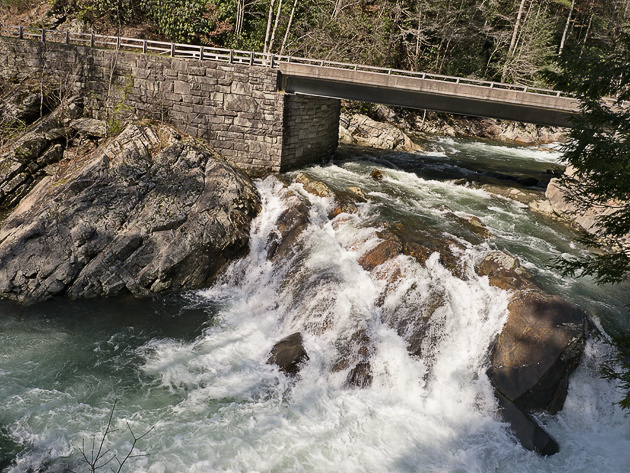 The current path of the Little River, over the falls, was formed when the river broke through the rocks, creating a short-cut. 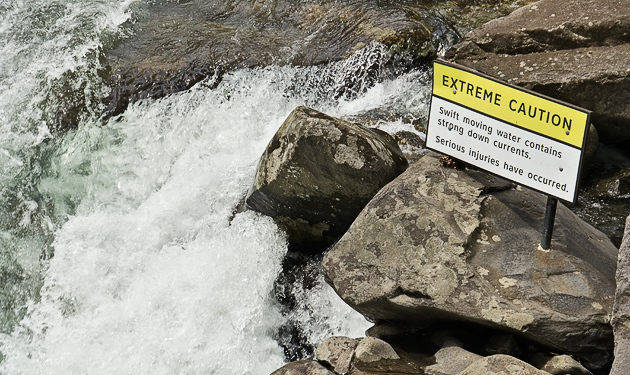 Signs such as the one pictured above warn of the dangers here. 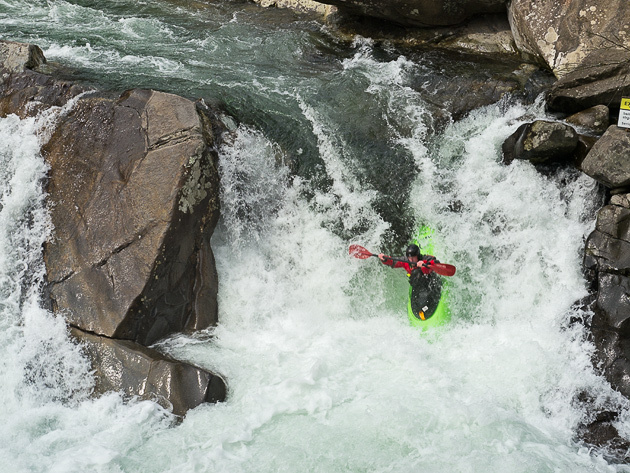 And yet the Sinks draws daredevils such as the kayaker below. After your sightseeing, please consider a visit to the William Britten Gallery on Glades Rd in Gatlinburg, along the historic Arts and Crafts Trail.